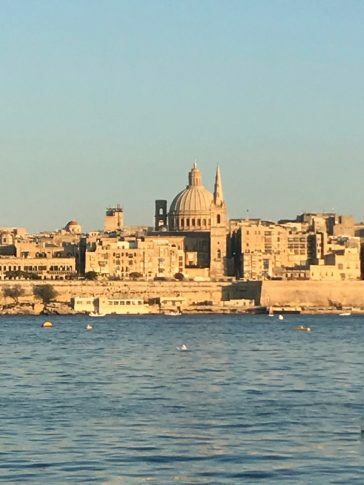 Media lecturer Mike Latto attended a digital arts conference in Malta recently where he was invited to screen his documentary entitled Vision of Europe. The work reflected his research on Ukraine and European identities, particularly in the context of the Eurovision Song Contest 2017, which was held in the Ukrainian capital, Kiev. 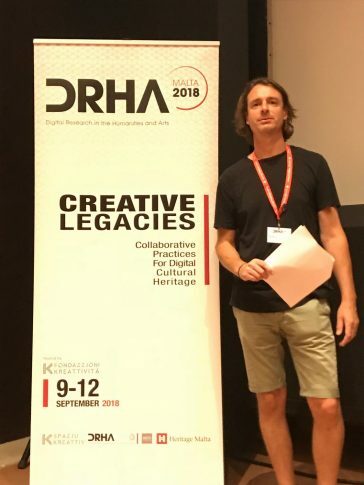 The conference for Digital Research in the Humanities & Arts – titled Creative Legacies: Collaborative Practices for Digital Cultural Heritage – was part of the wider programme of European Capital of Culture events for 2018. The conference celebrated the wider European community, with filmmakers and artists from Denmark, Spain, France, the UK and USA in attendance. During the conference Mike also spoke about his work with Brock students who use digital technologies to record the world around them. He discussed how students document and offer discourse on cultural identity, sometimes unknowingly, through platforms such as Instagram and YouTube. “It was great to be asked as a British Filmmaker to contribute during the European Capital of Culture events, and I enjoyed being a part of the wider European community, celebrating our similarities and differences – an ethos we share at Brock,” he added. Mike’s work as a documentary filmmaker focuses on cultural heritage and visual records of change. His previous film, 311, explored coastal change in Bournemouth, and was exhibited at the Tate Modern in London.